With a highly skilled and trained labor force, Ports America has the expertise to manage all types of cargo. Ports America’s terminal operations and stevedoring services include container, bulk, breakbulk and project cargo; world-class cruise terminals; intermodal facilities and quality RoRo operations. We provide clients with a distinct competitive advantage, combining the flexibility of global connection with the efficiency of local expertise. We are dedicated to customer satisfaction, consistently delivering measurable results. And our commitment to safety in the workplace is second to none. Ports America operations range from pure container terminals to "under-the-hook stevedoring." Operations also include container, bulk, breakbulk, military, project, auto/RoRo, cruise, intermodal, and maintenance and repair. 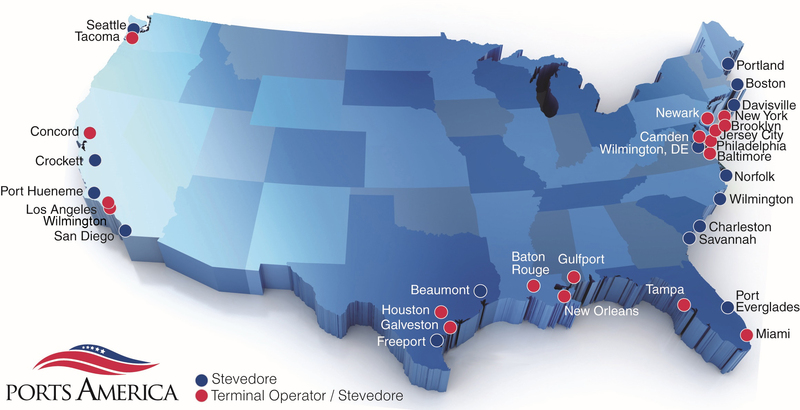 With diversified port operations across all three U.S. coasts, Ports America offers a vast network of interconnected transportation solutions for customers.